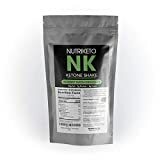 The Kuma Shake is obsessively engineered fat bomb for all of us on keto. Life is better when running on ketones. Rich and fulfilling tropical flavor and texture. It can be used as an on-the-go snack at work, for exercise performance at the gym, for bodybuilders in cut phase and for intermittent fasting. 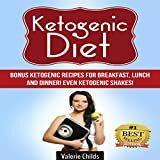 It is a great way for vegans to be ketovegans! Stock it in your closet – Kuma shake stays ready-to-drink for years! We carefully spec’d it to be more than 4:1 ketogenic (the ratio of number of fat calories to other calories) — the original therapeutic formula dating back to Dr. Wilder in 1924. With superfoods such as extra virgin red palm oil and turmeric root, we challenge you to find anything more nutritious to drink. To your health!